Like everyone, I’d heard about Swiss and Belgian chocolate, often in contest for the best chocolate in the world, but not a thing about Spanish chocolate, that could well be in the running. 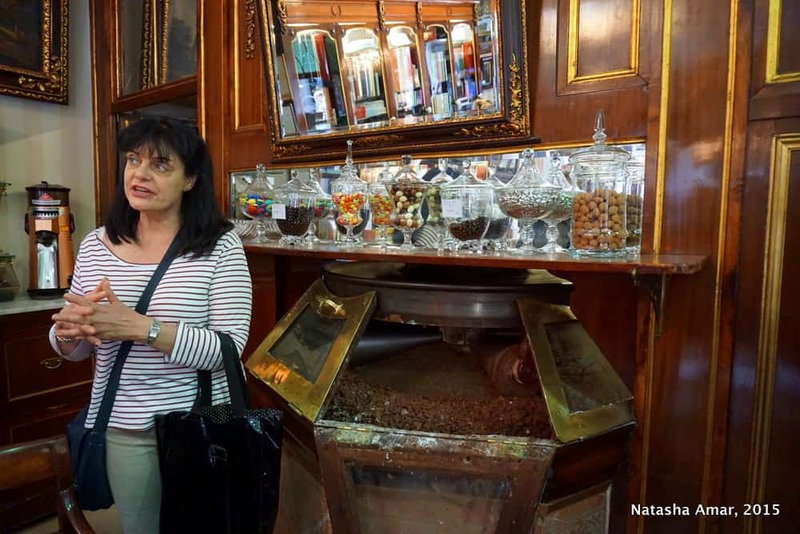 So when I had the chance to go on the City of Chocolate tour, a walking chocolate tour hosted by Context Travel in Barcelona, I felt both curious and excited about unearthing a lesser-known secret about the city and sampling the best chocolate in Barcelona. Though I’d been on food tours and walking tours of Barcelona, this was a first. After all, to the common food-loving traveler, few things can be as exciting as the prospect of exploring a new culture through its fine chocolate. 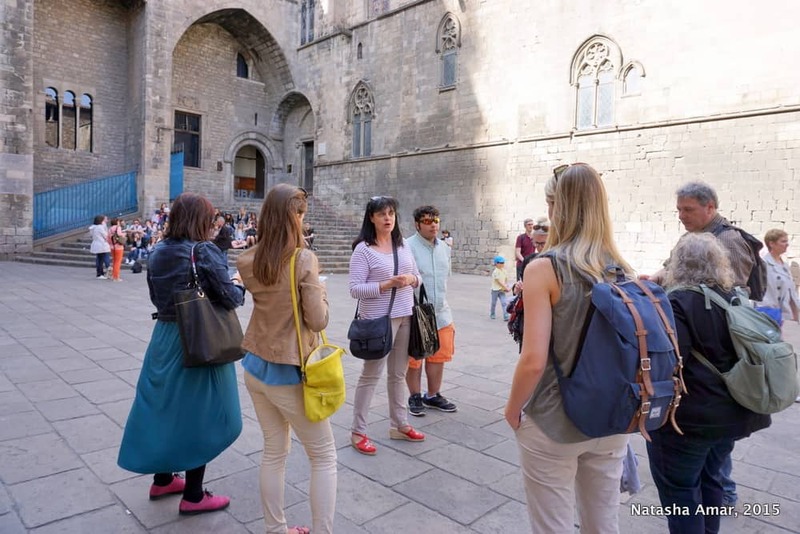 It was easy to see that Esther, our docent, loved chocolate, her eyes shining with excitement as she introduced our group to the history of chocolate in Barcelona with the beautiful backdrop of heritage architecture in the old city. The story goes that it was Columbus who first brought chocolate to Spain in 1493 in the form of unprocessed cacao beans that he presented to King Ferdinand and Queen Isabella, not really knowing what they were. According to some sources, he described them as almonds. History and food experts say that it was Spanish conquistador Hernán Cortés who had tasted chocolate as a drink and brought it back to Spain in 1529. He added sugar to the drink and put into place events that would eventually make the drink popular with Spanish aristocracy and nobility for the next 100 years or more, even as they kept it a secret from the rest of Europe. So how did Cortés discover chocolate? He was served a chocolate drink by the Aztec emperor Montezuma. The Aztecs had been introduced to chocolate by the Mayans who believed that it was the drink of the gods, and mixed it with chilies to make it spicy. Chocolate does taste divine so I’m not surprised. 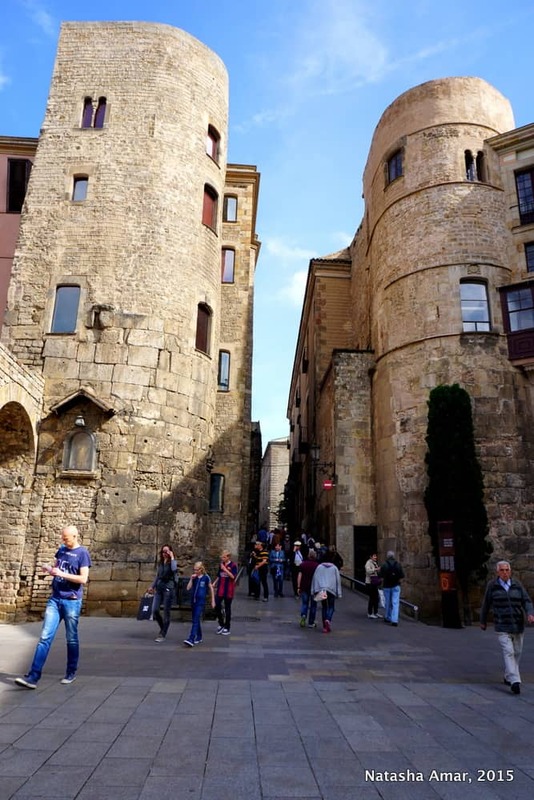 Following Esther through the narrow lanes wasn’t easy- I was torn between wanting to stare at and photograph the buildings, streets and balconies (it was only my second day in Barcelona) and wanting to keep up with the group. Eventually, I made the easy choice and picked chocolate over architecture. 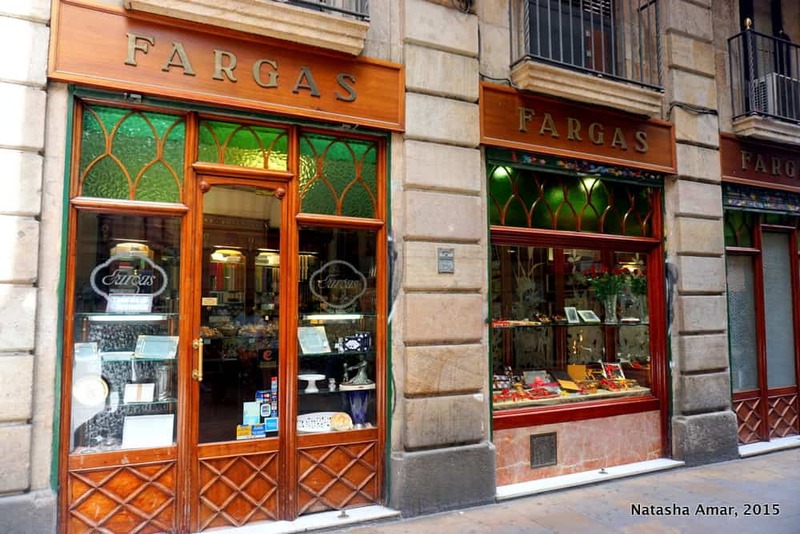 Our first stop was the city’s oldest chocolatier, a corner store on Carrer del Pi called Fargas, opened in 1827. 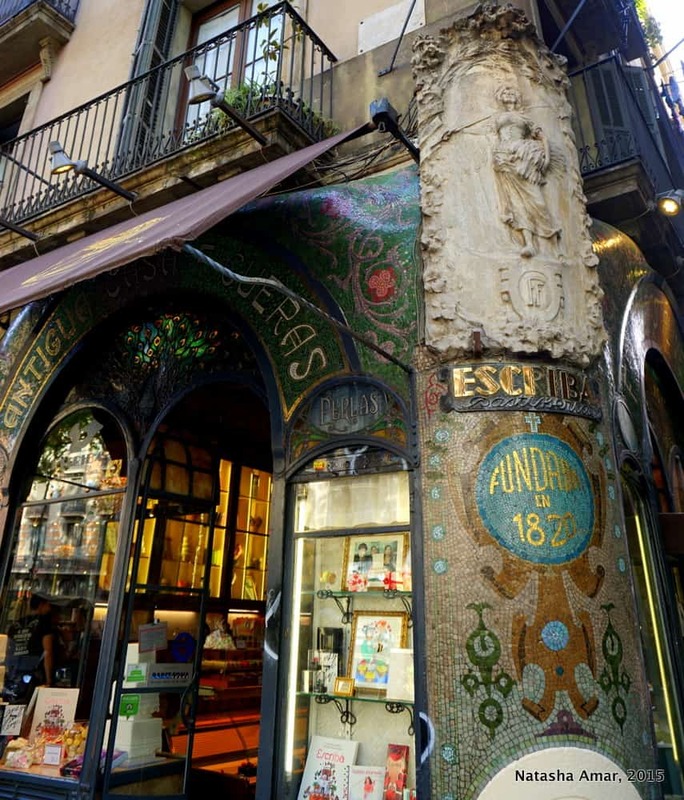 The shop is also the third oldest in Barcelona. Just drives home the point that chocolate is important! Stepping into the cozy store to breathe in the delicious smell of chocolate was almost exhilarating. Here, we tasted an assortment of dreamy bonbons. If they looked as good as this, you can only imagine how amazing they tasted. Next we were standing in Torrons Vicens, a brand that has been making artisanal nougat since 1775. 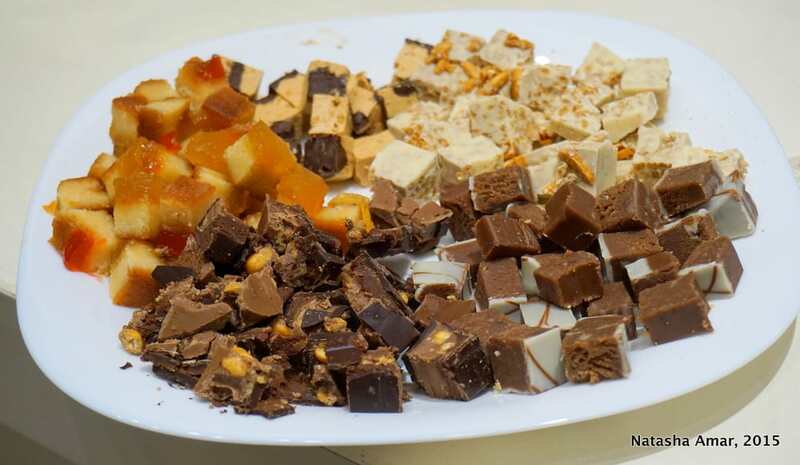 A turrón, torró or torrone is nougat typically made of honey, sugar, egg white and toasted nuts. I’m generally not a big fan of these but we did try a few different ones and they were really good. Our next stop was probably my favorite part of the tour. 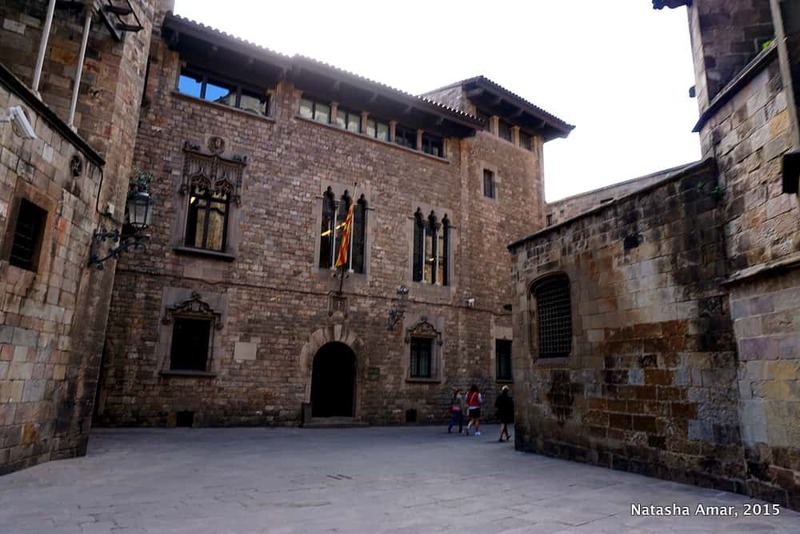 Winding our way through the narrow streets of the Gothic Quarter, we found ourselves outside Granja La Pallaresa in Carrer de Petritxol. 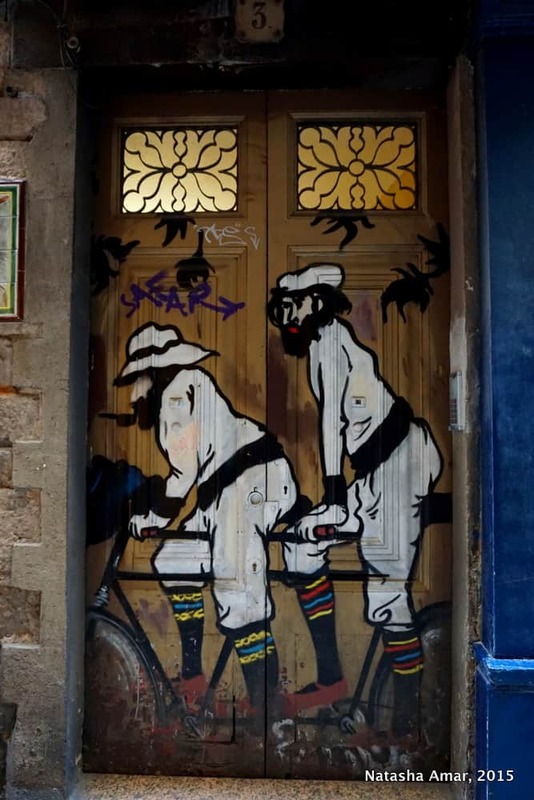 A lively granja culture thrives in Barcelona, much like the café culture of other European cities. A granja is a café that serves chocolate and pastries, which is typically visited mid-morning for breakfast or mid-afternoon for merinda or afternoon tea. 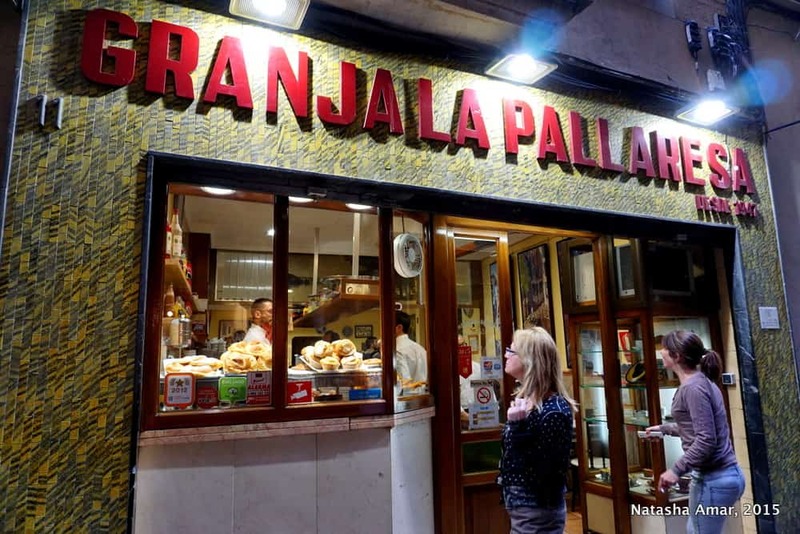 In my opinion, a granja is definitely a must-see and must-taste when in Barcelona. 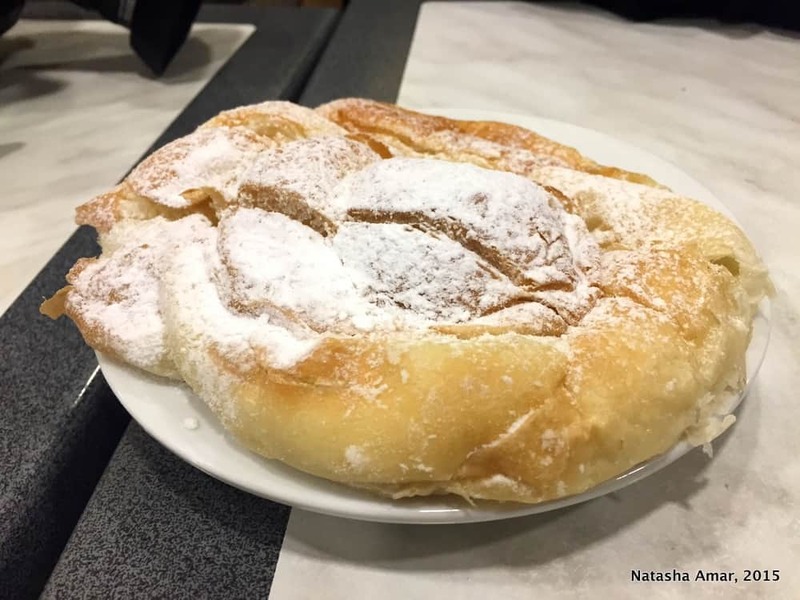 After a long day, Esther explained, the locals like to sit down at a neighborhood granja and converse over a cup of luxuriously thick hot chocolate, often topped with a cloud like swirl of cream. This hot chocolate drink, which is incredibly pleasing to all the senses, is called ‘Swiss’, named perhaps due to the white mountain of cream reminding one of the Swiss Alps. “And what you should do”, she said as the group watched, “is dunk the pastry in the drink like this”, dipping the fresh melindros into the hot chocolate through the soft whipped cream. It is widely believed in local culture that the only real chocolate is dark chocolate, rich and fragrant and befitting of having been the drink of the gods and white chocolate isn’t even really chocolate. I have to say I agree. While the rest of the world drinks coffee, the Spanish dip pastries in thick hot chocolate after a long day or for a mid morning snack. It’s pretty obvious that they’ve got it right like no one else. 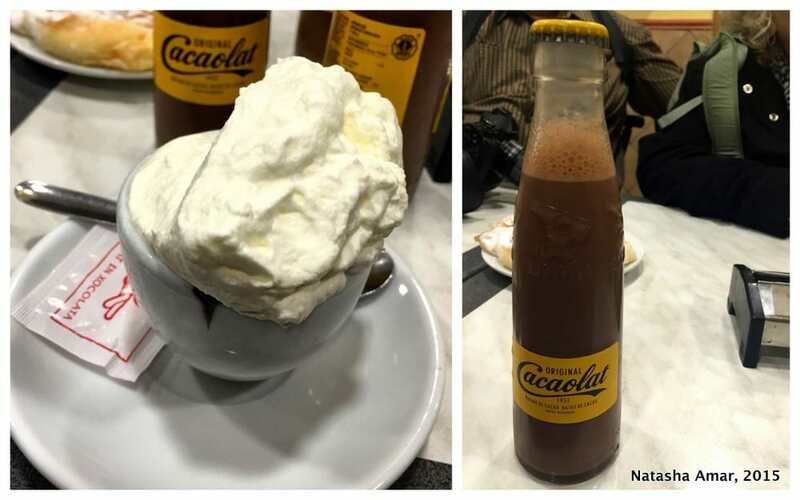 After having tasted the indulgent hot chocolate, Esther introduced us to Cacaolat, chilled flavorsome chocolate milk that is typically enjoyed to cool off on hot summer days. Both drinks were great, but most of the group chose to finish their cold Cacaolat as it was lighter and easier to finish after the many tastings. Esther had considerably built up the excitement for our fourth stop, telling us that the shop didn’t only enjoy a reputation as one of the best known chocolatiers in the city, but the building itself was a sight to behold, attracting visitors with its beautiful modernista architecture. That was in fact not an exaggeration and we stood outside Escribá, admiring the exterior for a few minutes and taking pictures. 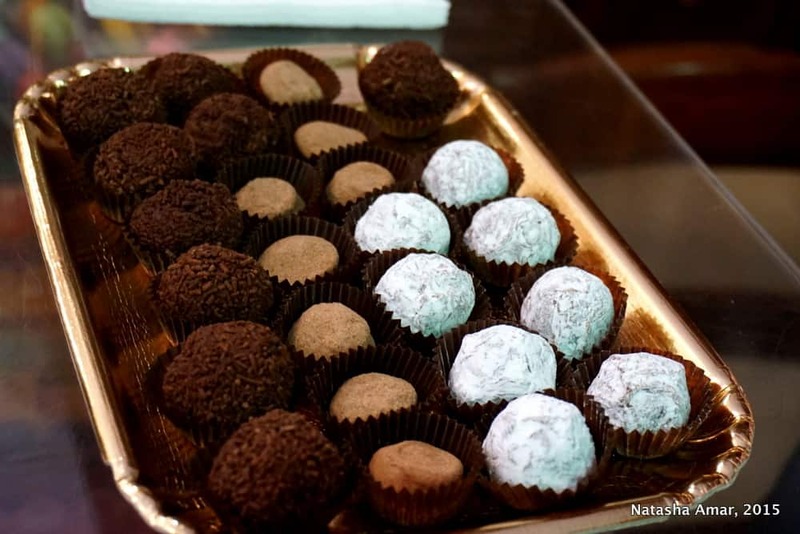 The Escribás are the third oldest chocolatiers in the city and have been in the business since 1906. Walking into the store, it’s obvious that here, chocolate is more than just dessert; it’s art. Detailed and intricate sculptures of various sizes and artistic looking pastries were displayed around the store. 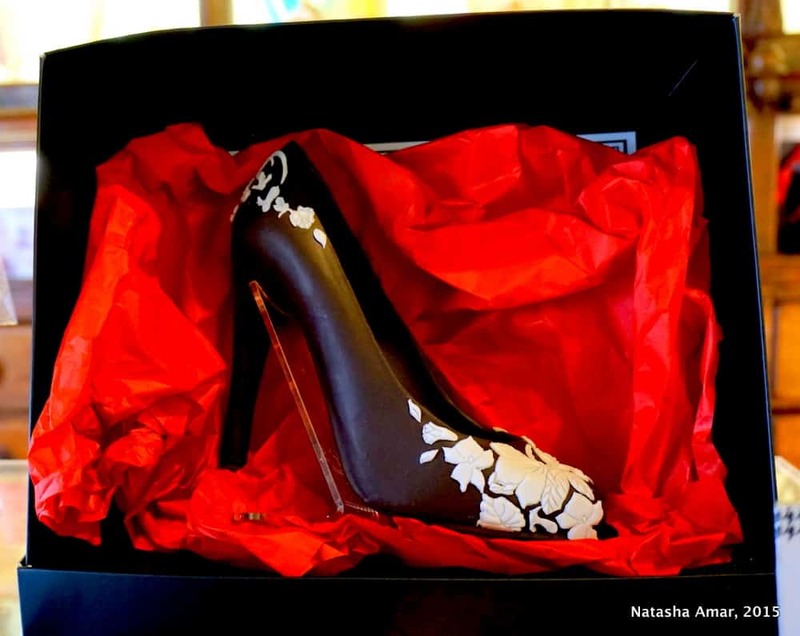 Someone ooh-aahed pointing out to a beautiful shoe that would have been right at home in a Louboutin store had it not been made of chocolate. A tray of bright red chocolate lips was brought out and Esther suggested taking group pictures of us with the lips pursed between our own. They melted fast and mine were gone before I could get a half decent picture. Wear it or better still eat it! Even street corners are works of art in Barcelona! Then, we were out on the busy streets of Barcelona again, trying not to get lost in the crowds outside the city’s famous La Boqueria market. We arrived at Cacao Sampaka, a modern store with elegant and minimalistic décor, not far from the famous La Pedrera. The name sounded strangely familiar and I believe I’d heard it before but had no idea it was a Spanish brand. 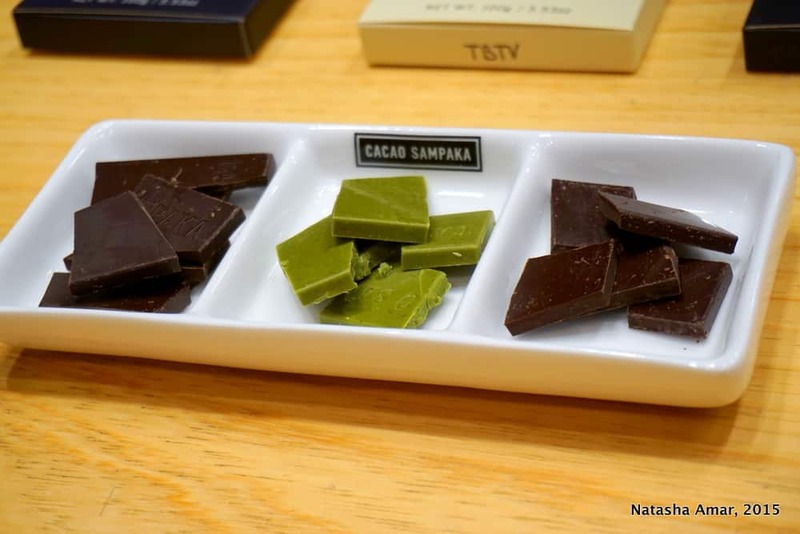 On display were myriad flavors; chocolate with parmesan cheese, olive oil, rose, jasmine, lime, passion fruit and wasabi! The shy but friendly store manager invited us to try different chocolates and they were full of surprising flavors like sea salt. I had no idea that the combination of salt and chocolate was even possible, less that it could taste so amazing. Tasting chocolate, she said, is like tasting wine. We must use all the senses; break it and listen to the sound of chocolate snap to know it’s of superior quality, smell it like we would a glass of wine, and finally let it melt in the mouth slowly to allow the flavors to unravel their magic. 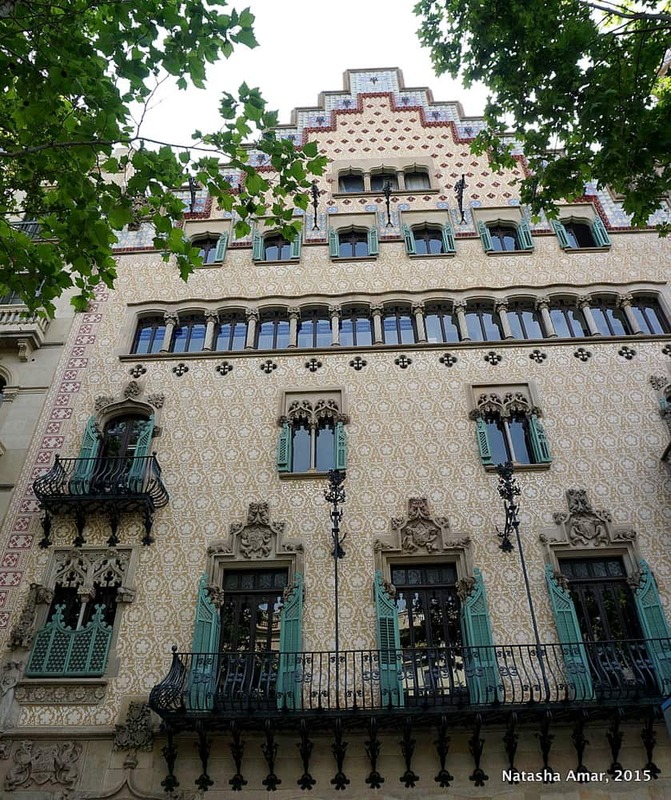 With our treasured box of assorted chocolates courtesy of Cacao Sampaka, and hearts filled to the brim with the kind of satisfaction that only good chocolate can bring, we came to the end of the tour at Casa Amatller, yet another Modernista masterpiece, next to Gaudi’s Casa Batllo. 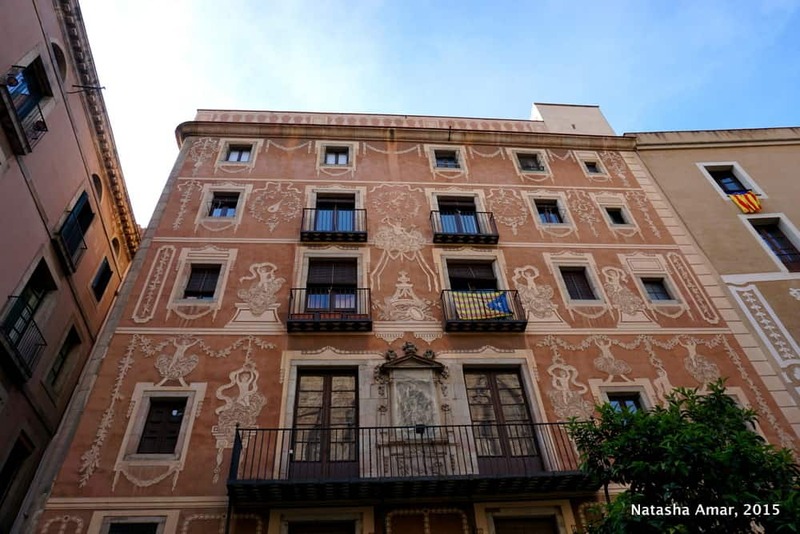 Casa Amatller, was the residence of Antoni Amatller, a man of many talents- traveler, photographer, collector and chocolatier. 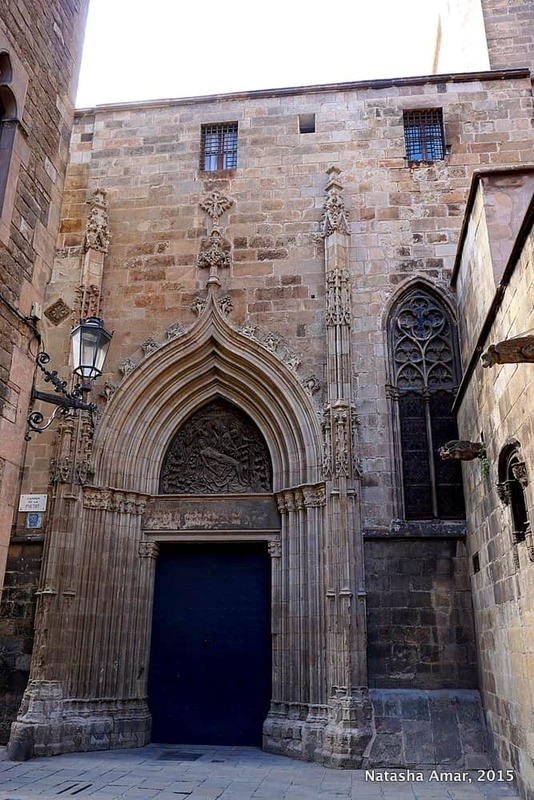 It was designed by architect Josep Puig and blended different influences from Gothic to Renaissance to create an impressive living space. The house served as a residence for Amatller and his daughter Teresa for many years and was later turned into a museum after her death. 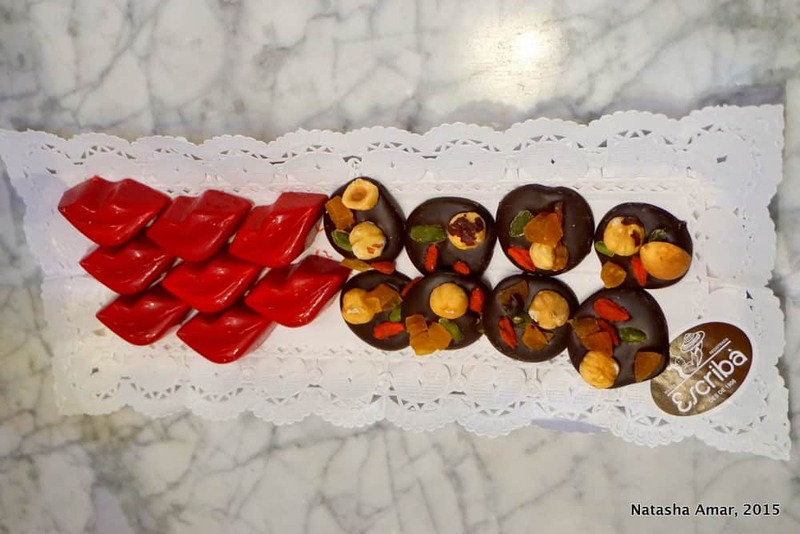 The City of Chocolate tour with Context Travel was a great experience for so many reasons; from the obvious ones such as amazing chocolate tastings to being able to explore the old city while being let in on one of Barcelona’s best kept secrets- sinful decadent chocolate. A walk with Context Travel is not your average tour because their concept is really unique. 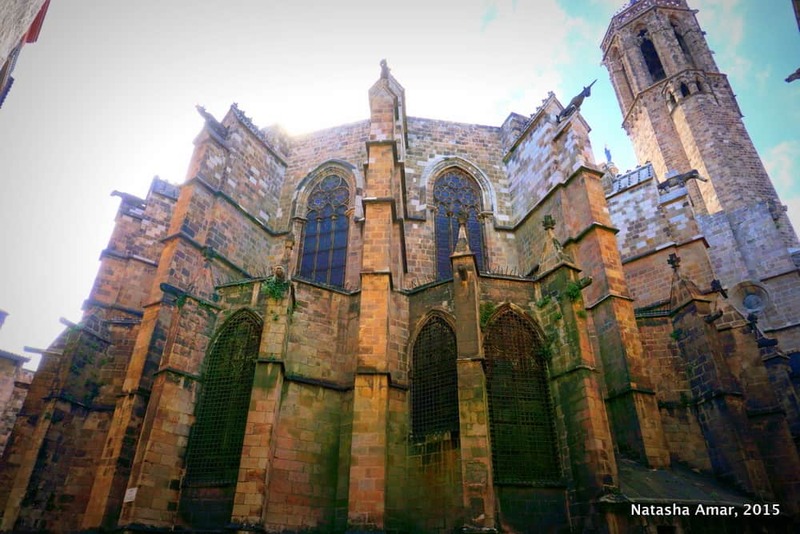 Their ‘tours for the culturally curious’ are more seminars than tours and are hosted by their network of docents who are PhD and Masters level scholars and experts in disciplines ranging from architecture and cuisine to environmental science. 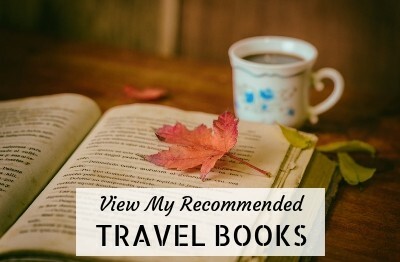 These professors and researchers share their in-depth knowledge and passion with small groups of travelers who share the company’s belief in ‘Deep Travel’. Their experiences are off-the-beaten-path, highly interactive, socially responsible and provide a cultural insight beyond the obvious. 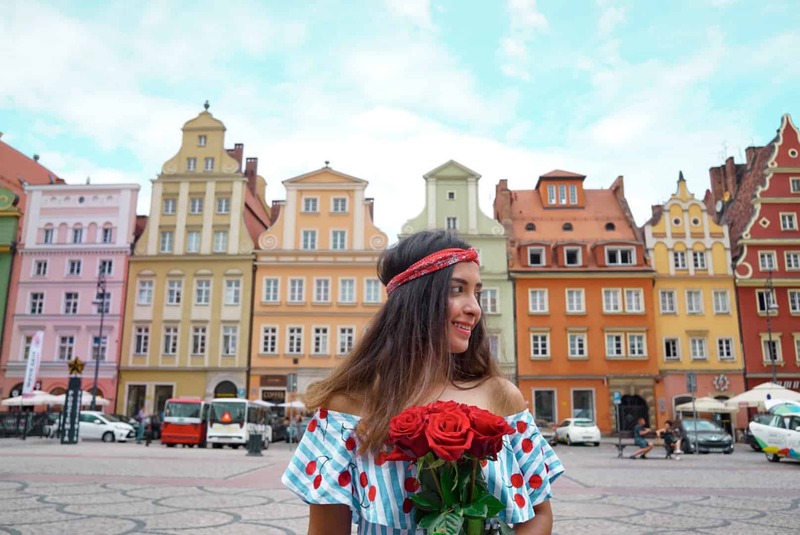 If you really want to experience a culture and travel deeper, don’t think twice before booking a tour with Context Travel in one of the cities where they operate. 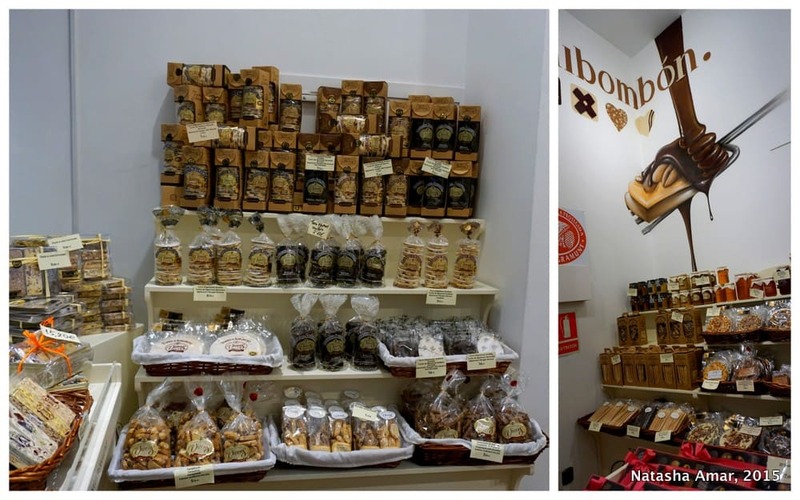 It isn’t only just a great walking tour in Barcelona, it also involves some seriously amazing chocolate! 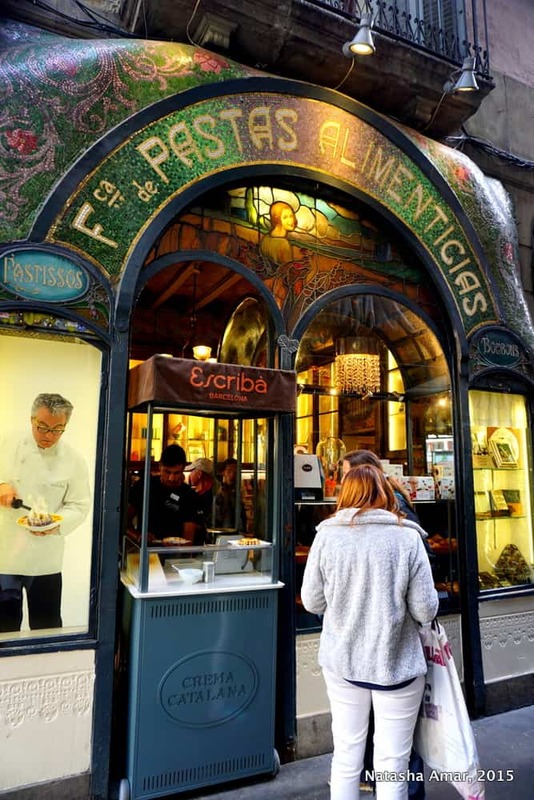 Needless to say, once you’ve joined this tour, you’ll know exactly where to go to buy the best chocolate in Barcelona. I was a guest of Context Travel on the tour and all opinions, as always, are my own. A big thanks to Context Travel and Esther Dotras for introducing me to the city’s finest chocolate. 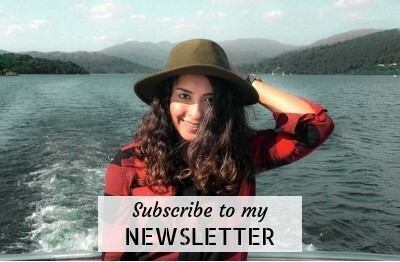 I enjoyed this tour so much that I decided to partner up with Context Travel as an affiliate and as you’ve noticed around the blog, this is very rare. 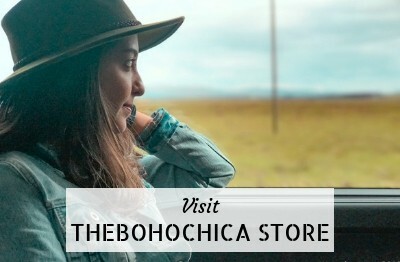 But I loved their philosophy and since it aligned perfectly with my travel style, I knew they were a good fit. My affiliate relationship with them does not affect my opinion. 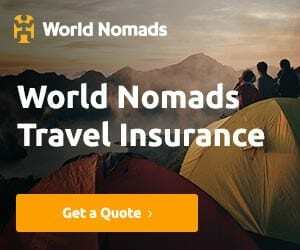 If you book a tour with Context Travel using one of the links on this site, I earn a small commission, at no extra cost to you. 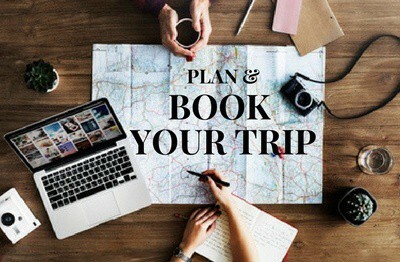 So if you like my recommendations and decide to book with them, please use one of the links on this page to reach their site. Thank you! 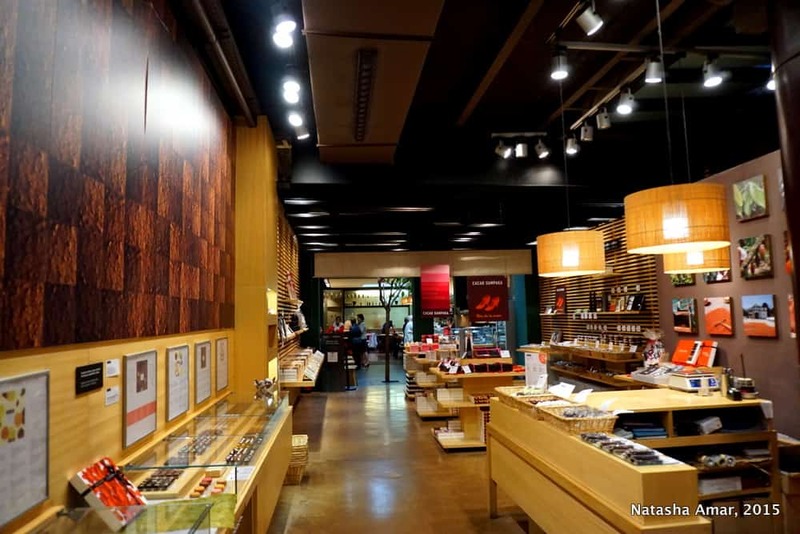 Have you ever been on a chocolate tour? Would you like to join this one in Barcelona? I hope you get to go someday! The gastronomy in Barcelona is amazing – traditional tapas accompanied by “cañas” of local beer. The chocolate is yet another excuse to visit this beautiful city! I love the uniqueness of the architecture too. The chocolates got my attention. I will hoard these when i go visit Barcelona. ??? What a great experience! It seems like you had a very sweet day! 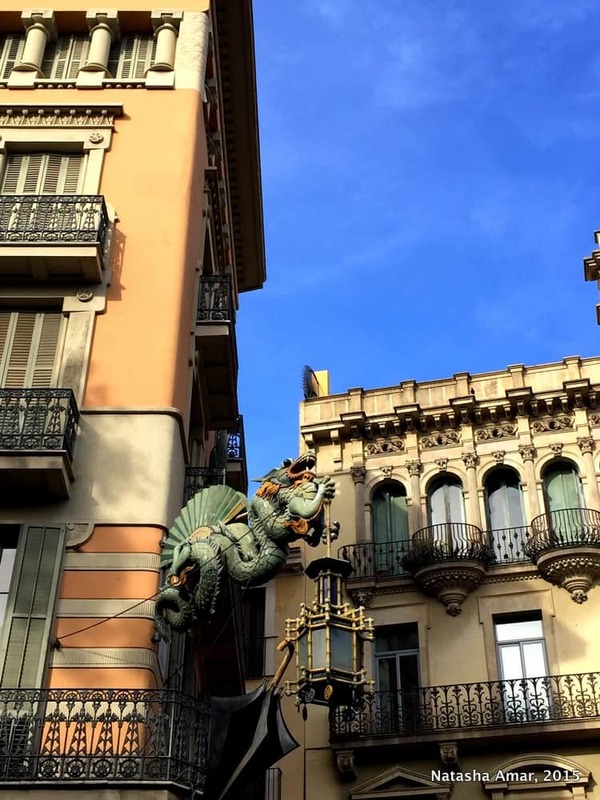 Great post and great to meet you in Barcelona too! Thanks Vicki and it was really great to meet you too! I just loved Barcelona!!! I didn’t know it was a chocoholics paradise though. Such beautiful buildings and chocolate! We are going to Spain for one month next Summer so will add this to our list. Oh my god, I did not know that Barcelona had such a chocolate culture. I definetly will retrace your steps the next time I am there! Thanks for sharing! Great photos. Oh chocolate how I love thee. That looks like a great tour. There are so many times when I read about a food tour and I say “oh, that looks great” but I’m secretly thinking that everything looked so weird, even yucky. Not here! I would try every single thing you did and I can’t wait to experience this for myself when I’m in Barcelona in the fall. The hot chocolate sounds absolutely incredible! The granja was my favorite stop in the tour. Another dessert to try when you’re in Barcelona- Creme Catalana. It’s just something you have to experience for yourself! 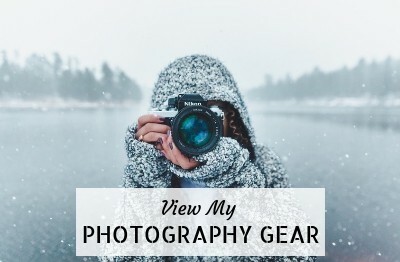 The photos are all amazing! Food and architechture. Looked like an awesome time. Just as I guessed, this tour looks and sounds (and I’m sure tasted) amazing. Really wish I could have experienced some of this chocolate! Lucky girl! !